but that hasn't affected our back-to-homeschool plans. but we went "back" to school regardless. Or, you know, just kept not schooling. of taking the kidlets bowling. of our incredible bowling skill. (once it was heavily edited). at Pirate Family Fun & Learning. 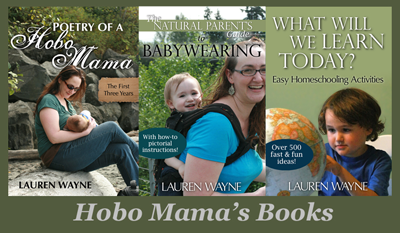 Want my babywearing book for a buck? Be sure to check out the Motherhood Bundle Sale where you can get 10 ebooks hand-picked for mothers for just $10. You can read my post about the sale or go directly there through my affiliate link. I'm giving away a box of 40 oatmeal chocolate chip lactation cookies from MilkBoosters. A yummy treat for you, a bonus for your nursling! Enter with a simple comment if you want to give them a try. i want you to know that you still have a hope of living with out endometriosis because I have seen 4 surgeons, 5 gynecologists, 3 physical therapists, chiropractors, acupuncturists, gastrointestinal specialists, and general practitioners ad infinitum, and Dr. Cook is the one person who never turned me away when obstacles appeared, or passed me off to another doctor because he didn’t feel like dealing with a difficult case.